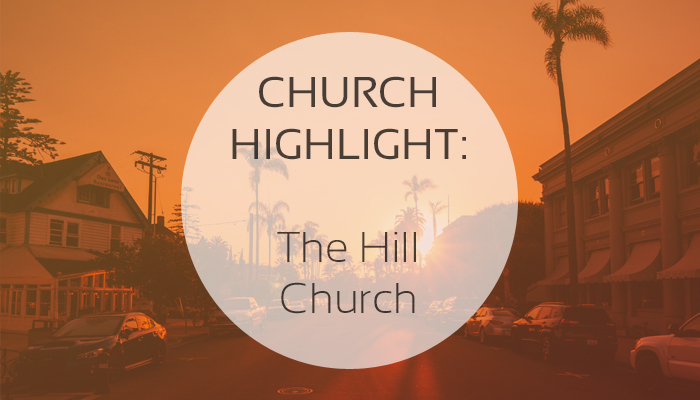 Church Highlight: The Hill Church, San Diego, CA. We initiated our first service as a replant—The Hill—January 21st. Three reasons factored into us planting in San Diego. First, San Diego is a city—like many in North America today—with an evangelical population less than 10%. Secondly, San Diego is a culturally rich and ethnically diverse city. The neighborhood we are planting in barely has a majority culture. Thirdly, San Diego is a city of mostly two types of churches—large commuter churches and struggling churches. Before deciding to plant in San Diego, our desire was to be a neighborhood focused, disciple-making church. We seek to embrace a neighborhood missiology and believe the San Diego context to be ripe for this. We have seen God’s faithfulness on display in so many ways. We really knew no one—outside of our team—before arriving 7 months ago. Last Thanksgiving, we had over 35 people in our home. God continues to show himself faithful as we step out and follow Himthe future? We hope to see our church become a staple in our community, with a loud, lasting gospel impact for years to come and hopefully plant churches in three distinct bordering areas. Slower is often times faster. While our call as planters is to be “Strong and Courageous,” we must be careful not to confuse this with impatience and being led by the flesh. Patience and urgency really do go together. I have found that it takes more courage, patience, and faith to go slower than to race forward in my own plans. Be strong. Be courageous. Be urgent. And be patient because God is faithful. One of the aspects about The Pillar Network which sets it apart from others is its emphasis upon ecclesiology in relation to missions and church planting. Far too often, church planters I speak with talk about a desire to be missional and plant churches but have never given much serious thought to ecclesiology. Proper ecclesiology is the foundation upon which missions and healthy church planting thrives. I am grateful for churches within the network who taught and modeled this for me. Pray for continued unity as we move forward through the replanting process. Pray for us to get further “embedded” in our community which includes nearly 4,500 students within a stone’s throw of our campus. Pray for our patience as we boldly proclaim Christ in our community. We want to know what takes place at The Hill is done by the Spirit, not the workings of the flesh.